The Oncology Nursing Society is a professional association comprised of more than 35,000 members. ONS publishes a clinical journal, nursing forum, and eBooks for its members, subscribers, and others in the healthcare industry to help promote excellence in oncology nursing and the transformation of cancer care. Previously, ONS leveraged Metapress to bring its publications online. This platform had a very out-of-date design, lacked in styling options, was not mobile friendly, and was difficult for subscribers to read. ONS wanted to unify the branding of its website and publications, provide a stellar user experience for all visitors, and have the ability to customize the design and functionality available within its online publications. ONS turned to the Unleashed Technologies and Bates Creative teams to migrate to the Drupal platform and provide a consistent, modern, and engaging online experience to its readership. Migration of content to Drupal – Unleashed Technologies normalized the data in Metapress in order to facilitate migration to Drupal. Due to the long history of content for ONS’s publications, all articles published between 2008 – 2014 were integrated with the newly implemented theme with all content prior to 2007 elected to remain in PDF and flat HTML format, though still retaining access rights. Control over branding and content display – The new design for ONS is supported by a multi-site installation of Drupal. Each journal has its own color set, but uses the same theme as the other sites to ensure consistency. As part of the migration to Drupal, Unleashed Technologies employs Panels. Panels is being leveraged to provide a superior user experience and content relationships. It enables the filtering and displaying of content based on the theme in use so that content specific to the Clinical Journal of Oncology Nursing is only shown in that journal and does not appear in the other ONS publications. Fully automated content entry – ONS leverages Unleashed Technologies’ publishing platform, an XML importer that automatically formats INDD files to push to Drupal and then to external journal repositories. This functionality helps ONS to expand their audience online. With one click, they can send to PubMed, OVID, and other journal repositories where health professionals can search for, find, and purchase articles on the healthcare topic they are most interested. Highly customized access rights via eCommerce – Drupal Commerce was highly customized in order to provide multiple points of access for any given article published by ONS. 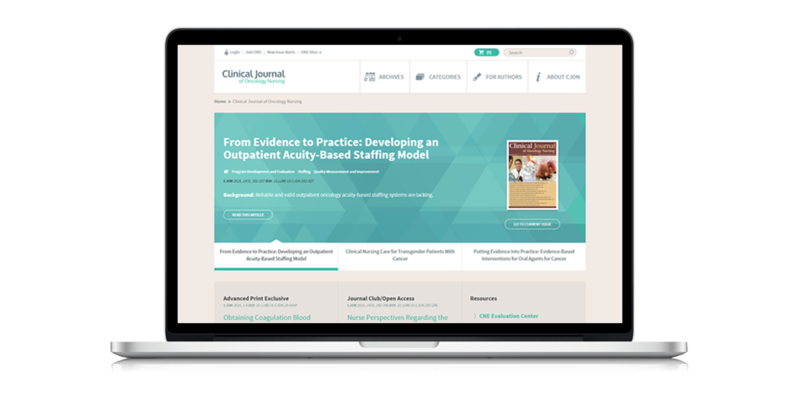 Among the access rights covered within this solution, were open access for ONS members, one-time purchases of single articles, and journal subscribers, as well as the ability to offer free access to all content during week-long promotions. Single Sign On – Unleashed Technologies integrated iMIS and Drupal to provide single sign-on capabilities across ONS.org and the store site. 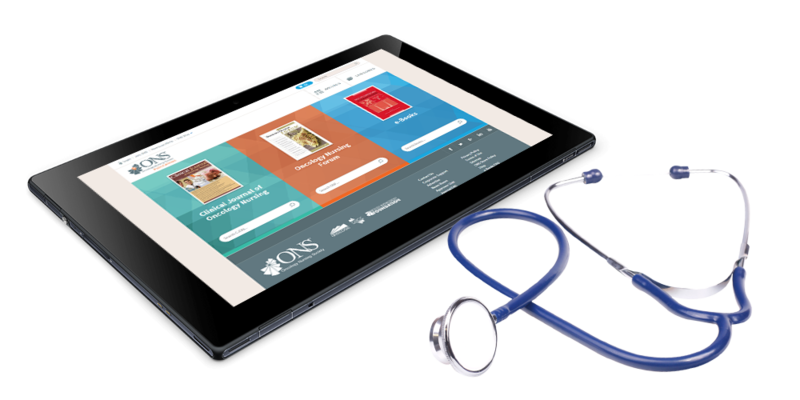 Individual ONS members can log in with their iMIS validated credentials and gain access to the journals published in the ONS online store. Increased engagement opportunities - Unleashed Technologies deployed enhanced SOLR search functionality, social sharing and commenting capabilities, and a robust taxonomy to recommend related content. The new enhancements deliver the relevant content to its audience and drive deeper engagement. Key performance indicators to measure results – Unleashed Technologies has worked closely with ONS to develop KPI’s in Google Analytics. These KPI’s measure conversion activities, such as downloads of PDFs, reading full articles, number of articles read/pages visited. Data is leveraged to provide reporting back to institutional subscribers with COUNTER usage reports (standardized reporting for subscriber institutions to provide user activity statistics) coming soon. 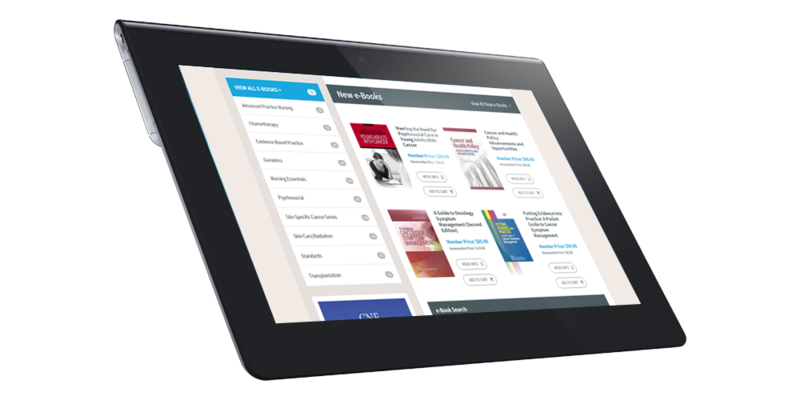 The ONS store now has a flexible, mobile design supported by robust functionality that enhances engagement, delivers a superior experience to individual and institutional subscribers, and automates the management of its online publications. They are always very responsive. We'll come to Unleashed Technologies with a potential challenge, and they'll provide us with a couple of different opportunities for revision. It's more collaborative, which is absolutely appreciated when compared to our previous experience.